The first peace, which is the most important, is that which comes within the souls of people when they realize their relationship, their oneness, with the universe and all its powers, and when they realize that at the center of the universe dwells Wakan-Tanka , and that this center is really everywhere, it is within each of us. The first peace, which is the most important, is that which comes within the souls of people when they realize their relationship, their oneness, with the universe and all its powers, and when they realize that at the center of the universe dwells Wakan-Tanka , and that this center is really everywhere, it is within each of us. This is the real peace, and the others are but reflections of this. The second peace is that which is made between two individuals, and the third is that which is made between two nations. But above all you should understand that there can never be peace between nations until there is known that true peace, which, as I have often said, is within the souls of men. Our tepees were round like the nests of birds, and these were always set in a circle, the nation's hoop. 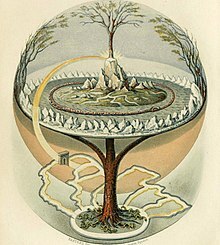 The sacred hoop of my people was one of many hoops that made one circle, wide as daylight and as starlight, and in the center grew one mighty flowering tree to shelter all the children of one mother and one father. And I saw that it was holy. Hear me in my sorrow, for I may never call again. O make my people live! When a vision comes from the thunder beings of the West, it comes with terror like a thunder storm; but when the storm of vision has passed, the world is greener and happier; for wherever the truth of vision comes upon the world, it is like a rain. The world, you see, is happier after the terror of the storm. … you have noticed that truth comes into this world with two faces. One is sad with suffering, and the other laughs; but it is the same face, laughing or weeping. … as lightning illuminates the dark, for it is the power of lightning that heyokas have. Everybody was glad that I was living; but as I lay there thinking about the wonderful place where I had been and all that I had seen, I was very sad; for it seemed to me that everybody ought to know about it, but I was afraid to tell, because I knew that nobody would believe me, little as I was, for I was only nine years old. Also, as I lay there thinking of my vision, I could see it all again and feel the meaning with a part of me like a strange power glowing in my body; but when the part of me that talks would try to make words for the meaning, it would be like fog and get away from me. 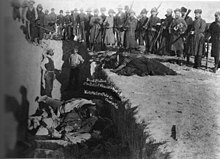 Speaking of the Massacre at Wounded Knee. … behind me there were ghosts of people like a trailing fog as far as I could see - grandfathers of grandfathers and grandmothers of grandmothers without number. Then the bay horse spoke to me again and said: "See how your horses all come dancing!" I looked, and there were horses, horses everywhere — a whole skyfull of horses dancing around me. I did not see anything to help my people. I could see that the Wasichus [Whites] did not care for each other the way our people did before the nation's hoop was broken. They would take everything from each other if they could, and so there were some who had more of everything than they could use, while crowds of people had nothing at all and maybe were starving. They had forgotten that the earth was their mother. This could not be better than the old ways of my people. 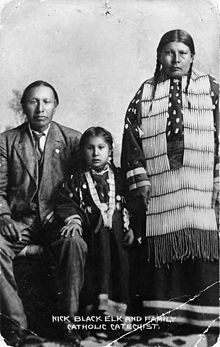 Black Elk and Lame Deer were Heyoka which doesnet mean that that that that you literally say and do things backwards in a humorous manner but whose spirit helpers are the powerful thunderbeings. This page was last edited on 8 December 2018, at 17:00.